Mindset is a natural brain food formula. A million uses include helping concentration, stress and ADD. 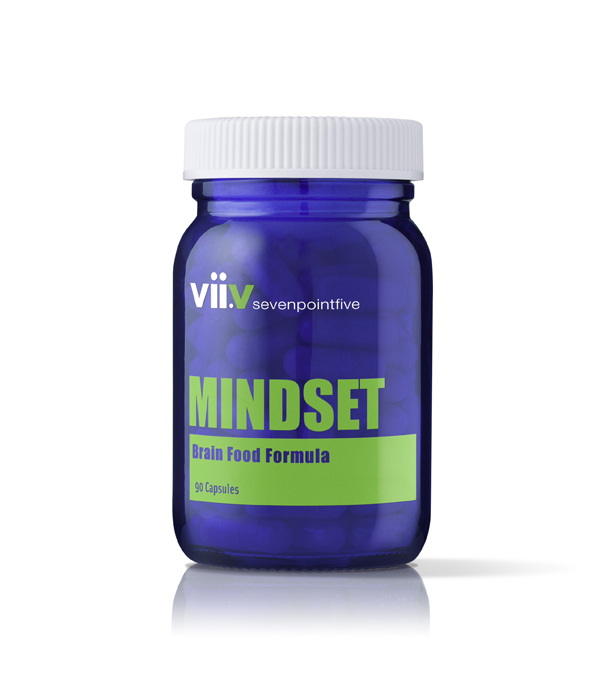 Mindset is a natural brain food formula with a wide variety of uses include helping concentration, stress and ADD. Coral Calcium Powder – Its alkalizing effect aids absorption of other ingredients. GABA – Gamma Aminobutyric Acid, is an amino acid classified as a neurotransmitter. Provides a natural calming effect. Prevents the nervous system overloading with anxiety messages. L-Glutamine – Amino acid, the building blocks of the body. L-Tyrosine – Amino acid, the building blocks of the body. Niacinamide – Maintains the nervous system. Valerian Root – Has a calming effect. L-OptiZinc – Zinc, like iron, copper and chromium, is one of 16 essential trace minerals the body needs to keep healthy and fit. Zinc is essential for growth and development, reproduction, digestion, respiration, and for proper brain, nerve, vision and immune function. L-OptiZinc is a unique, patented form of methionine-bound zinc that dramatically increases the bioavailability of zinc. Researchers have shown that L-OptiZinc is by far the most potent zinc antioxidant available as a dietary supplement. Excellent service. Will be trying the Mindset on 2 children this coming week.